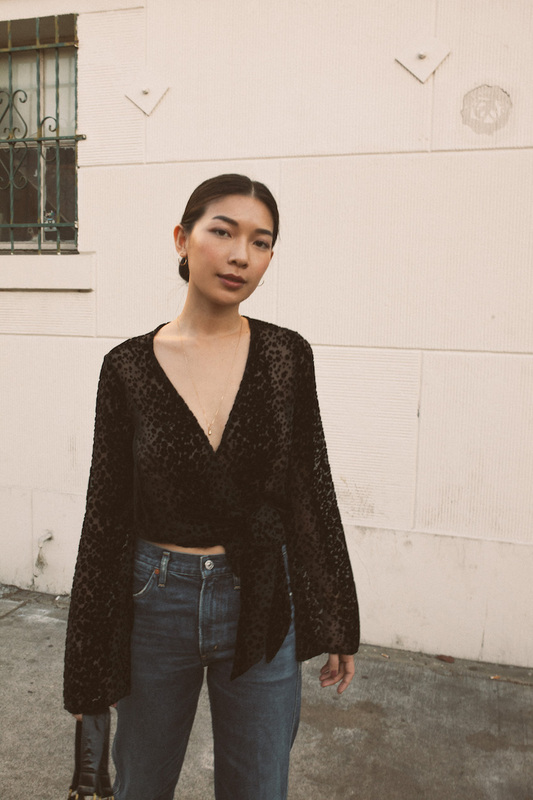 There's just something about this top from Paige that is just magnetic -- the velvet burnout and the romantic silhouette just make this so perfect for a cool day out in the city or a holiday party with your best people. 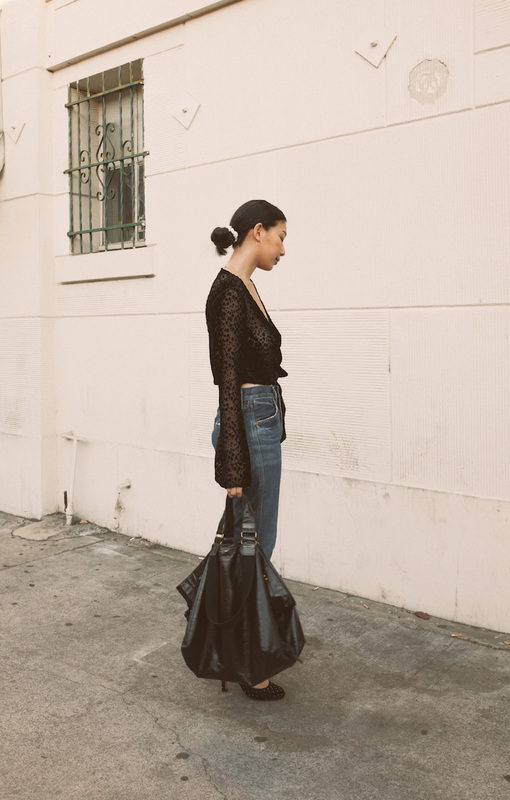 Easily paired well with a lace bralette or over a shiny slip dress. Kyle and I have been so busy lately, we haven't had a chance to decorate our home or pick a fresh tree for Christmas and we're so bummed because every year we love creating a festive, magical winter wonderland in our home. We'll be out of town almost the entire month of December, except for Christmas Eve and Christmas day, so understandably we'll just skip this year's hosting. We're very excited to visit Hong Kong next week and go back to our favorite place, Sedona, AZ the day after Christmas! It's going to be a whirlwind of a new kind of holiday fun. I hope you all enjoy the start of your holidays, as work winds down and festivities ramp up. Happy Holidays! I love your top! It's so pretty! This wrap top is super pretty! Loving this look on you!